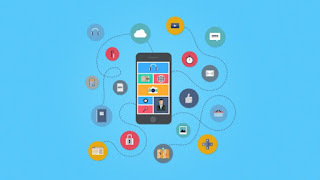 If you are thinking to learn iOS App development i.e. developing games and application for Apple's iOS devices like iPhone and iPad and looking for some free courses then you have come to the right place. In this article, I am going to share five free courses to learn iOS App Development and become an iOS developer this year. This is the second article in my serious of articles about learning iOS and venturing into app development. In my last article, I have shared some of the best courses to learn Swift Programming language, Apple's own language to create iOS applications. It also allows you to create apps for MacOS and Linux as well. Btw, Apple's iOS is an amazing platform, it not only allows you to create apps and games but also provides a platform to publish and sell your work. You can upload your apps or games into AppStore and earn some money by selling it or just opting to show ads on your games. There are many programmers who have become app entrepreneurs and earning thousands of dollars. Though it's not easy and takes a lot of hard work, luck, and persistence it does provide an opportunity. It also motivates people from other areas to learn to programme and make a living. In facts, there are many boot camps all around the world which teaches you how to develop games and applications for iPhone and iPad on iOS, but most of them are very expensive and the sometimes location is also a problem. That's where online courses come into the picture. You can also buy courses as low as $10 like iOS 12 & Swift - The Complete iOS App Development Bootcamp by Angela Yu and learn from it whenever and wherever you want. If you have a smartphone and internet connection then you can watch them while traveling, in the home or in your office in your spare time. This course is my favorite and probably the world's best online course to become an iOS developer. The instructor Angela Yu is very experienced and enthusiastic and also have taught thousands of students online and offline. There are also some free courses available which are great to start if you don't want to commit any money. These courses will provide you enough background and knowledge to decide whether iOS development suits you or not. Without any further ado, here is my list of some of the best, free online courses to learn iOS and application development for iPhone and iPad. Developing for iOS is an in-demand skill and valuable, but if you haven't developed anything in the Apple world before, it can be intimidating and that's where a good course like this one can help you. This course will teach you how to develop a complete iOS app without writing a single line of code in iOS 11 and Xcode 9, Apple's IDE for Swift. In short, an excellent course for beginners and anyone who wants to start with iOS11 and Xcode 9. You also don't need to have Swift programming skills to use this course, though I suggest you to learn Swift as it will help you a lot in future. In this course, you'll quickly get up and running using Xcode 9 and Swift 4 to build great iOS apps and tap into the latest features in iOS 11. This is one of the comprehensive course which will teach you all things an iOS developer should know. You will first learn about the tools and how to create iOS apps with adaptive user interfaces that work on multiple devices (including iPhone X). After that, you'll learn how to manage iOS projects and define the building blocks of your own iOS applications. You'll also learn how to work with data-driven controls and understand navigation options. 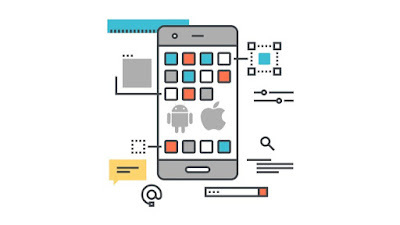 After completing this course you should know current best practices, iOS architecture, and have enough confidence to start building your own iPhone apps. Btw, you would need a Pluralsight membership to access this course, which costs around $29 monthly or $199 annually (33% discount now). I have one and I also suggest all developers have that plan because Pluralsight is like NetFlix for Software developers. This is another great course for beginners to start learning iOS development. It's also completely free as of now. The course is designed for the complete beginner and you will learn how to build iPhone apps with Swift 4, Xcode 9 and iOS 11 step by step. The course is neither very short nor very long, it's 3 hour worth of watching so you can finish the course within a day including code practice and have some foundation for iOS app building. This is another good course to learn Swift 4 and iOS 11 to become an app entrepreneur. The instructor Grant Klimaytys is very enthusiastic and not only teach you Swift 4 and iOS 11 but also how to build your own apps and release it into Apple's App Store. In short, this course provides a unique chance to learn to programme from a veteran for free and learn from its massive experience. Another nice course to learn Swift, Xcode, and iOS11 for free. If you don't know Swift, it is Apple's programming language for building iOS application, earlier it used to be Objective C which was slightly difficult to learn for beginners. Swift is designed keeping education in mind and hence, it's also a good language to learn to programme. There is also a free iPad game called Swift Playground which you can use to learn to code in Swift for free. This is also a hands-on course, so, you will not only learn the basics of iOS 11 Development but also develop 2 complete iOS applications! That's all about some of the best free courses to learn iOS App development for iPhone and iPad. As I have said, iOS and Swift are the best way to start your programming career because it not only make you job ready but also offers you earn some income by creating games and apps for yourself. If you have good creativity and programming skills, you may turn out to be an app entrepreneur like the creator of Angry bird or Floppy bird. Thanks for reading this article so far. If you like these free iOS Application development courses then please share with your friends and colleagues. If you have any questions or feedback then please drop a note. 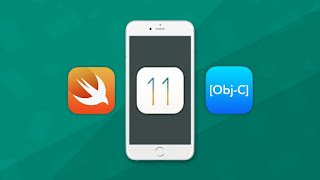 P. S. - If you need a more comprehensive course which covers everything then I suggest you go through iOS 12 & Swift - The Complete iOS App Development Bootcamp by Angela Yu, it's simply great and world's best course to learn iOS development. It's an online version of iOS boot camps which cost around $8000 to $12000 but I bought it for less than $13 on Udemy.recently.